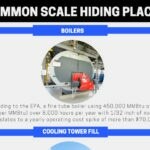 When looking for efficiency killers in your plant, scale build-up in your hydronic equipment can be an obvious culprit. 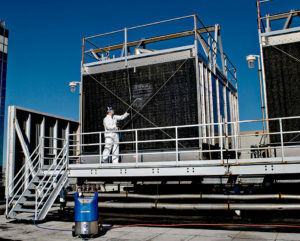 Facilities that use water for cooling and heating or power generation are most susceptible to the kind of heavy scaling that can reduce productivity. This is seen in pump pressure increases, approach temperature increases, and an increase in fuel consumption. When this happens, it’s time to take a look at possible scale accumulation. So where did all that scale come from? While there are different types of scale, they can all be attributed to minerals within water falling out of suspension and depositing on surfaces. 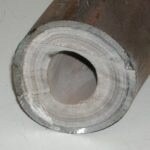 For many plants, these surfaces can be in the fill of cooling towers, inside pumps, or inside the tubing of heat exchangers. Once the minerals adhere to metal, they become a hardened layer that inhibits the transfer of heat. If not addressed, this layer can become thicker as more minerals are transferred from the water. 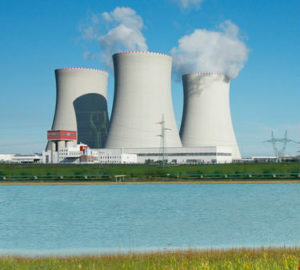 This is of particular concern for large industrial and power generation plants that often use natural water resources because they are generally rich in minerals. 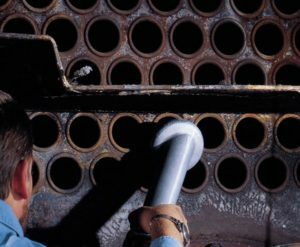 A proactive approach to the regular maintenance of machinery is essential to preventing catastrophic failures from hot spots formed by scale. Facility managers can approach routine maintenance with scheduled inspections and thorough equipment cleaning. Two common approaches to cleaning scale are using a mechanical system or chemical applications. Mechanical removal of scale with specially designed brushes can be effective in removing a variety of deposits from your equipment, including scale. These include using a rotating brush with a water flush to scrub deposits from tube walls. Specialty brushes are available for enhanced or rifled tubes. Chemical removal of scale is when chemical solutions are introduced to water in equipment during the cleaning process. The base ingredients in the chemical solution penetrate the scale deposits and dissolve them into a liquid suspension. Once the descaling process is completed, the deposit is held in the suspension until it can be flushed from the equipment. This does not always require a shutdown or put a strain on facility labor. There is no disassembly of the equipment required for chemical cleaning either. Using mechanical or chemical methods to remove scale is important to keeping equipment running efficiently. Careful consideration of the types of descalers to use for your particular equipment is essential to successfully remove scale in its entirety. Solutions such as Goodway’s Scale Removal Systems combined with its ScaleBreak® liquid descaler can effectively remove scale and prevent further build up. So as you begin planning your facility’s next full equipment maintenance, consider including a descaling procedure to keep your equipment running efficiently until your next inspection. Subscribe to our blog to stay informed on the latest facility maintenance news and insight.